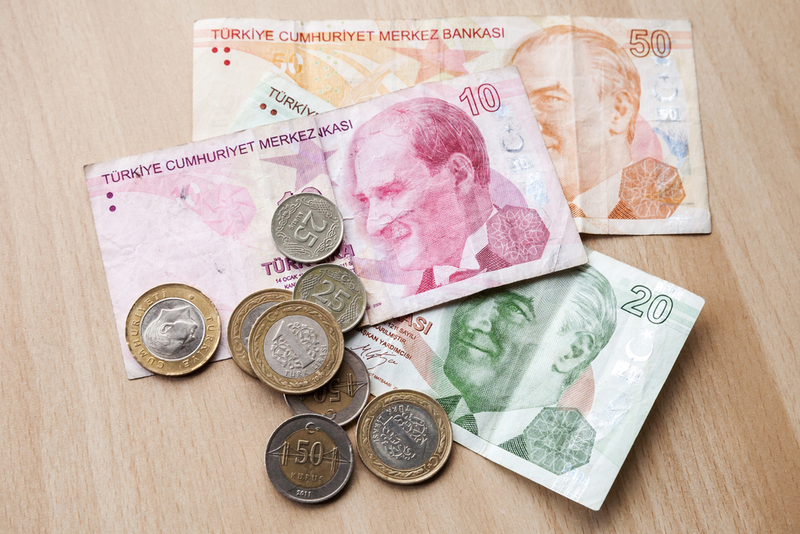 Turkish Lira Hits Record Low: What Does It Mean For The Global Markets? Turkey is currently a very hot topic in the markets, and when viewing the USD/TRY chart, one could draw parallels to the developments concerning Bitcoin into the end of last year. Nevertheless, there is one big difference to consider: the parabolic rise in USD/TRY means that Turkish Lira is currently crashing, seeing its biggest currency shock since 2001, and leaving the 17th biggest economy in the world (based on the GDP) vulnerable to a collapse. Goldman Sachs calculated that the line in the sand with USD/TRY can be located around 7.1000. This is the level where Turkish banks are said to run out of USD, together with, the Euro and therefore they cannot meet their liabilities anymore. In this context, it doesn't come as a big surprise that 2-year yields in Turkey subsequently jumped above 25%, and 10-year yields pushed to over 21% — for the first time in history, while the stock market capitalisation of Turkish companies shrank to around 115 billion USD, to its lowest level since 2009. What does this mean for European banks, the Euro, and the DAX? The Spanish BBVA, the French BNP Paribas, and the Italian UniCredit are said to have more than 130 billion USD of exposure in Turkey. In the case of BBVA, Turkey accounted for 373 million euros of its first half net attributable profit, which makes 14 percent of the group's total. Therefore it comes as no surprise that the Euro is currently dropping, accelerating its momentum on the downside after the ECB announced that it is increasingly concerned about the Euro Zone's bank exposure to Turkey. While capital is flowing out of Turkey, it mainly flows back to the US, the country where QE was initially started, coming from the FED after the global financial crisis of 2008. Naturally, while scepticism around European banks rises and leaves the Euro vulnerable, the US-Dollar sees capital backflows, and the EUR/USD currency pair has dropped below a crucial support around 1.1500 EUR against the USD, now targeting 1.1200. Do you want to test this idea and join hundreds of thousands of traders who have already traded with Admiral Markets — your award-winning, regulated broker, offering the most competitive conditions on the EUR/USD CFD? Then take advantage of the daily moves, get an account, and start trading now! But it is not only the Spanish, French, or Italian banks experiencing a high exposure in Turkey. The biggest European economy, Germany, is also said to have heavily invested in Turkey with German banks to have around 17 billion USD exposure in Turkey. Also, there's a risk of other countries, like Brazil or South Africa to also be affected by similar circumstances as the ones Turkey is facing at the moment. Not only Turkey, but also Brazil or South Africa pumped up their economies with cheap Dollars and Euros provided by the FED and ECB within their economic stimulus programmes after the big financial crisis in 2008. Based on that, the German trade relationships with South Africa can, beside those with Turkey, be also considered significant. Germany is among the top South African trading partners after China, the US and Japan. The same is true for Brazil: with a trade volume of more than US$20bn, Germany is Brazil's fourth largest trading partner. That said, it is expected that major indices such as the DJI30, HSI50 and JP225 might be affected. When considering the DAX, it could potentially be at risk to test at least the region around the June/July lows around 12,100/130 points in the upcoming days. For the picture to brighten up, the bulls need to push the DAX back above the SMA(200) in a daily chart (purple), and above 12,870/900 points, but at the moment with the current tensions around Turkey, and other emerging markets rising, and the earnings season drying out, it is difficult to spot a driver for the bulls to take on serious momentum.